John Fatu and Josh Fatu are the twin sons combination born to Rikishi Fatu. June 8, 2007 – WXW: The Fatu Twins (Jonathan and Joshua Fatu) debuted as a tag team in Milton, Florida. May 24, 2010 – RAW: The Uso Brothers and Tamina debuted as heels and attacked The Hart Dynasty and Natalya Neidhart. May 31, 2010 – RAW: The Usos and Tamina cut an in-ring promo, but were quickly attacked by The Hart Dynasty and Natalya! June 7, 2010 – WWE Viewer’s Choice: The Usos and Tamina attacked The Hart Dynasty, but the Harts dumped them out of the ring! June 9, 2010 – FCW: Hunico and Epico defeated The Uso Brothers w/Tamina to retain the FCW Tag Team titles. June 17, 2010 – WWE Superstars: The Uso Brothers (Jimmy and Jey Uso w/Tamina) defeated Goldust and Mark Henry. July 5, 2010 – RAW: The Uso Brothers attacked The Hart Dynasty during a segment which involved a huge roster-wide brawl. July 12, 2010 – RAW: The Uso Brothers and Tamina defeated The Hart Dynasty Natalya Neidhart in a six person tag team match. July 26, 2010 – RAW: Randy Orton defeated Jey Uso w/Jimmy Uso and Tamina. August 12, 2010 – WWE Superstars: The Uso Brothers w/Tamina defeated Goldust and Yoshi Tatsu. August 23, 2010 – RAW: Santino Marella and Vladimir Kozlov defeated Jimmy and Jey Uso w/Tamina. ~~~After the match; Tamina stopped The Usos from attacking Santino. She smiled at Santino and blew him a kiss! September 2, 2010 – WWE Superstars: Santino Marella w/Vladimir Kozlov defeated Jimmy Uso (w/Jey Uso and Tamina). September 16, 2010 – WWE Superstars: Santino Marella and Vladimir Kozlov defeated The Uso Brothers (Jimmy and Jey Uso w/Tamina). September 19, 2010 – Night of Champions: The Uso Brothers participated in a Gauntlet Match for the WWE Tag Team titles. ~~~Match #4: Drew McIntyre and Cody Rhodes defeated Mark Henry and Evan Bourne to win the WWE Tag Team titles! October 7, 2010 – WWE Superstars: The Uso Brothers w/Tamina defeated The Hart Dynasty (David Hart Smith and Tyson Kidd). October 21, 2010 – WWE Superstars: Santino Marella and Vladimir Kozlov defeated The Uso Brothers w/Tamina. November 4, 2010 – WWE Superstars: The Uso Brothers defeated Mark Henry in a 2-on-1 Handicap match. November 8, 2010 – RAW: The Uso Brothers (Jimmy and Jey Uso) defeated The Hart Dynasty (Tyson Kidd and David Hart Smith). November 15, 2010 – Old School RAW: Santino Marella and Vladimir Kozlov defeated The Usos w/Tamina and Jimmy “Superfly” Snuka. November 25, 2010 – WWE Superstars: Mark Henry defeated The Uso Brothers w/Tamina in a Handicap match. December 6, 2010 – RAW: Santino Marella and Vladimir Kozlov won a 4-WAY tag team match to capture the WWE Tag Team titles! ~~~Santino Marella and Vladimir Kozlov beat Heath Slater and Justin Gabriel (c) and The Uso Brothers and Mark Henry and Yosh Tatsu. December 23, 2010 – WWE Superstars: The Uso Brothers defeated Yoshi Tatsu and Darren Young. December 30, 2010 – WWE Superstars: The Uso Brothers defeated Yoshi Tatsu and Darren Young in a rematch. January 3, 2011 – RAW: The Uso Brothers defeated WWE Tag Team champions Vladimir Kozlov and Santino Marella w/Tamina (Non-title). January 13, 2011 – WWE Superstars: DH Smith and Yoshi Tatsu and Primo and Darren Young beat William Regal and Zack Ryder and The Usos. January 17, 2011 – RAW: Vladimir Kozlov and Santino Marella w/Tamina defeated The Uso Brothers to retain the WWE Tag Team titles. February 10, 2011 – WWE Superstars: The Great Khali defeated The Usos in a Handicap match. February 17, 2011 – WWE Superstars: The Uso Brothers defeated Yoshi Tatsu and David Hart Smith. March 13, 2011 – Live Event: Santino Marella and Vladimir Kozlov defeated The Usos. March 17, 2011 – WWE Superstars: Santino Marella and Vladimir Kozlov defeated The Uso Brothers. March 31, 2011 – Wrestlemania Fan Axxess: Vladimir Kozlov and Santino Marella defeated The Usos. April 19, 2011 – Live Event: Santino Marella and Mark Henry defeated The Usos. May 5, 2011 – Superstars: Trent Baretta defeated Jey Uso. May 20, 2011 – SmackDown: The Great Khali defeated Jey Uso then attacked Jimmy Uso. June 2, 2011 – Superstars: The Corre (Heath Slater and Justin Gabriel) defeated The Usos. June 10, 2011 – SmackDown: Ezekiel Jackson and The The Usos defeated Justin Gabriel, Heath Slater and Wade Barrett. June 17, 2011 – SmackDown: The Usos defeated Justin Gabriel and Heath Slater. June 24, 2011 – SmackDown: Justin Gabriel and Heath Slater defeated The Usos. June 30, 2011 – Superstars: The Usos and Trent Baretta defeated Heath Slater, Justin Gabriel and Tyson Kidd. July 8, 2011 – SmackDown: The Usos defeated Justin Gabriel and Heath Slater. July 14, 2011 – Superstars: The Usos defeated Tag Team Champions David Otunga and Michael McGillicutty in a non-title match. July 29, 2011 – SmackDown: WWE Tag Team Champions The New Nexus (Michael McGillicutty and David Otunga) defeated The Usos to retain the titles. August 5, 2011 – SmackDown: WWE Tag Team Champions Michael McGillicutty and David Otunga and JTG defeated Trent Baretta and The Usos. September 4, 2011 – Live Event: The Great Khali and Jinder Mahal defeated The Usos. September 10, 2011 – Live Event: The Great Khali and Jinder Mahal defeated The Usos. September 11, 2011 – Live Event: The Great Khali and Jinder Mahal defeated The Usos. September 15, 2011 – Superstars: The Usos defeated Johnny Curtis and Trent Baretta. September 23, 2011 – Superstars: WWE Tag Team Champions Kofi Kingston and Evan Bourne defeated The Usos in a non-title match. September 27, 2011 – NXT: The Usos defeated Darren Young and JTG. October 5, 2011 – NXT: Curt Hawkins and Tyler Reks defeated The Usos. October 12, 2011 – NXT: The Usos defeated Curt Hawkins and Tyler Reks. October 22, 2011 – Live Event: The Usos defeated Primo and Epico Colon. October 26, 2011 – NXT: Tyson Kidd defeated Jey Uso. November 2, 2011 – NXT: The Usos defeated Johnny Curtis and Tyson Kidd. November 3, 2011 – Superstars: The Usos defeated Epico and Primo Colon in a dark match. November 10, 2011 – Superstars: The Usos defeated Derrick Bateman and Trent Baretta in a dark match. November 11, 2011 – SmackDown: Hunico and Epico defeated The Usos. November 17, 2011 – Superstars: Epico and Primo Colon defeated The Usos. November 23, 2011 – NXT: Jimmy Uso defeated JTG. November 29, 2011 – SmackDown: Hornswoggle defeated Heath Slater, Percy Watson, Yoshi Tatsu, Jey Uso, Jimmy Uso, Tyler Reks, Titus O’Neil, Johnny Curtis, JTG, Darren Young, Kofi Kingston, Hunico. December 8, 2011 – Superstars: The Usos defeated Tyler Reks and JTG in a dark match. December 13, 2011 – NXT: Jey Uso defeated JTG. December 16, 2011 – Superstars: Epico and Primo Colon defeated The Usos. December 19, 2011 – RAW: Primo and Epico Colon defeated The Usos. December 21, 2011 – NXT: The Usos defeated Derrick Bateman and Johnny Curtis. January 3, 2012 – NXT: Ryback defeated Jimmy Uso in a dark match. January 11, 2012 – NXT: The Usos defeated JTG and Tyson Kidd. January 20, 2012 – SmackDown: World Tag Team Champion Epico and Primo Colon defeated The Usos in a non-title tornado match. January 25, 2012 – NXT: The Usos defeated Curt Hawkins and Tyler Reks. February 8, 2012 – NXT: Tyler Reks and Curt Hawkins defeated The Usos. February 17, 2012 – SmackDown: World Tag Team Champions Epico and Primo Colon defeated The Usos in a non-title match. March 7, 2012 – NXT: Darren Young defeated Jimmy Uso. March 14, 2012 – NXT: The Usos defeated Darren Young and Titus O’Neil. March 21, 2012 – NXT: Darren Young defeated Jimmy Uso. March 28, 2012 – NXT: Titus O’Neil defeated Jey Uso. March 30, 2012 – Wrestlemania Fan Axxess: The Usos defeated Tag Team Champions Epico and Primo Colon in a non-title match. April 4, 2012 – NXT: The Usos defeated Titus O’Neil and Darren Young. April 10, 2012 – SmackDown: The Usos defeated Heath Slater and Tyson Kidd. April 18, 2012 – Live Event: The Usos and Percy Watson defeated Drew McIntyre, Curt Hawkins and Tyler Reks. April 20, 2012 – Live Event: The Usos and Mason Ryan defeated Drew McIntyre, Curt Hawkins and Tyler Reks. April 20, 2012 – SmackDown: Titus O’Neil and Darren Young defeated The Usos. April 26, 2012 – Superstars: Hunico and Camacho defeated Jimmy and Jey Uso. May 6, 2012 – Live Event: The Usos and The Great Khali defeated Jinder Mahal, Hunico and Camacho. May 9, 2012 – Live Event: The Usos defeated The Prime Time Players. May 25, 2012 – SmackDown: Titus O’Neil and Darren Young defeated The Usos. May 29, 2012 – NXT: Tyler Reks and Curt Hawkins defeated The Usos. June 6, 2012 – NXT: Tyler Reks defeated Jey Uso. June 7, 2012 – NXT: The Ascension (Conor O’Brian and Kenneth Cameron) defeated The Usos. June 8, 2012 – SmackDown: Antonio Cesaro defeated Jey Uso. June 13, 2012 – NXT: The Usos defeated Michael McGillicutty and Johnny Curtis. June 14, 2012 – Superstars: The Primetime Players (Titus O’Neil and Darren Young) defeated The Uso Brothers. June 17, 2012 – No Way Out: Darren Young and Titus O’Neil defeated The Usos, Tyson Kidd and Justin Gabriel and Epico and Primo Colon in a fatal-4-way match to become #1 contenders. June 22, 2012 – Smackdown: The Prime Time Players (Darren Young and Titus O’Neil) defeated Jimmy and Jey Uso. June 28, 2012 – Superstars: The Usos defeated Hunico and Camacho. July 11, 2012 – NXT: Jimmy and Jey Uso defeated Titus ONeil and Darren Young. July 19, 2012 – NXT: The Usos defeated Derrick Bateman and Johnny Curtis. July 26, 2012 – Superstars: The Usos defeated Hunico and Camacho in a dark match. August 16, 2012 – Superstars: The Usos defeated Johnny Curtis and Michael McGillicutty. August 30, 2012 – Superstars: Primo and Epico Colon defeated The Usos. September 7, 2012 – SmackDown: The Prime Time Players defeated Epico and Primo Colon and the Usos to become #1 contenders in a 3-way match. September 21, 2012 – NXT: The Ascension defeated The Usos. September 28, 2012 – SmackDown: Cody Rhodes and Damien Sandow defeated Jimmy and Jey Uso. October 4, 2012 – Superstars: Cody Rhodes and Damien Sandow defeated The Usos. October 18, 2012 – NXT: Kassius Ohno and The Ascension defeated The Usos and Ricky Steamboat. October 25, 2012 – Superstars: The Usos defeated The Prime Time Players. November 1, 2012 – Live Event: The Usos defeated The Prime Time Players. November 1, 2012 – Superstars: The Usos defeated Epico and Primo Colon. November 1, 2012 – NXT: The Usos defeated Michael McGillicutty and Johnny Curtis. November 5, 2012 – RAW: Heath Slater defeated Jey Uso. November 8, 2012 – Superstars: Jimmy Uso defeated Jinder Mahal. November 10, 2012 – Saturday Morning Slam: The Usos defeated Titus O’Neil and Darren Young. November 15, 2012 – Superstars: Heath Slater and Jinder Mahal defeated The Usos. November 17, 2012 – Saturday Morning Slam: Heath Slater and Jinder Mahal defeated Jimmy and Jey Uso. November 24, 2012 – Saturday Morning Slam: The Usos defeated Tyson Kidd and Justin Gabriel. November 30, 2012 – SmackDown: Jinder Mahal and Heath Slater defeated Jimmy and Jey Uso. December 1, 2012 – Live Event: The Usos defeated 3MB. December 7, 2012 – SmackDown: Heath Slater, Jinder Mahal and Drew McIntyre defeated The Usos and Brodus Clay. December 8, 2012 – Saturday Morning Slam: The Prime Time Players defeated The Usos. December 10, 2012 – RAW: Cody Rhodes and Damien Sandow defeated The Usos, The Prime Time Players and Epico and Primo Colon in a 4-way elimination #1 contenders match. December 14, 2012 – SmackDown: Damien Sandow and Cody Rhodes defeated The Usos. December 20, 2012 – NXT: The Usos defeated Epico and Primo Colon. December 26, 2012 – Main Event: The Great Khali defeated Yoshi Tatsu, William Regal, Jinder Mahal, Drew McIntyre, The Usos. Brodus Clay, Ted DiBiase, Epico and Primo Colon, Justin Gabriel, Tyson Kidd, The Prime Time Players, Damien Sandow, Cody Rhodes, Santino Marella, Zack Ryder and Wade Barrett in a #1 contenders battle royal for the U.S. Title. January 3, 2013 – Superstars: The Usos defeated Darren Young and Titus O’Neil. January 16, 2013 – Main Event: The Usos defeated The Prime Time Players. January 22, 2013 – Main Event: Cody Rhodes and Damien Sandow defeated The Usos. January 24, 2013 – Superstars: The Usos defeated The Prime Time Players in a dark match. January 30, 2013 – Superstars: The Usos defeated Epico and Primo Colon. February 9, 2013 – Saturday Morning Slam: Jack Swagger defeated Jimmy Uso. February 20, 2013 – Main Event: The Big Show defeated The Usos in a handicap match. March 7, 2013 – Superstars: Cody Rhodes and Damien Sandow defeated The Usos. March 20, 2013 – Main Event: The Usos defeated The Prime Time Players. April 11, 2013 – Superstars: The Usos defeated Epico and Primo Colon. April 20, 2013 – Saturday Morning Slam: Jey Uso defeated Darren Young by disqualification. The Usos defeated Titus O’Neil and Darren Young. April 23, 2013 – Main Event: Mark Henry defeated Jey Uso 1st gauntlet match. April 24, 2013 – Superstars: Jimmy Uso defeated Michael McGillicutty. May 4, 2013 – Saturday Morning Slam: Jimmy and Jey Uso defeated The Prime Time Players. May 8, 2013 – Main Event: The Usos and Justin Gabriel defeated 3MB. May 22, 2013 – Main Event: The Usos defeated Jinder Mahal and Drew McIntyre. May 23, 2013 – Superstars: Tensai, Brodus Clay, Naomi, and Cameron defeated The Usos and The Bella Twins. May 31, 2013 – SmackDown: The Usos defeated Titus O’Neil and Darren Young in a dark match. June 3, 2013 – RAW: The Usos defeated the Prime Time Players. June 5, 2013 – Main Event: The Usos defeated Cody Rhodes and Damien Sandow. June 24, 2013 – RAW: The Usos defeated Brodus Clay and Lord Tensai and 3MB (Drew McIntyre and Jinder Mahal) in a triple threat match to become the #1 contenders for the WWE tag team championship. July 5, 2013 – SmackDown: The Usos defeated the Rhodes Scholars. July 15, 2013 – RAW: The Usos defeated Antonio Cesaro and Jack Swagger. July 25, 2013 – Superstars: The Usos defeated 3MB. July 26, 2013 – Live Event: Bray Wyatt, Luke Harper & Erick Rowan defeated The Usos and R-Truth. July 26, 2013 – SmackDown: Mark Henry and the Usos defeated Wade Barrett and the Prime Time Players in a 6-man tag team match. July 31, 2013 – Main Event: The Usos defeated Titus O’Neil and Darren Young. August 5, 2013 – RAW: Antonio Cesaro and Jack Swagger (now known as the “Real Americans”) defeated the Uso Brothers. August 7, 2013 – Main Event: The Shield defeated The Usos and Mark Henry. August 14, 2013 – Main Event: The Usos defeated Drew McIntyre and Heath Slater. August 19, 2013 – RAW: The Usos defeated 3MB. August 21, 2013 – Main Event: The Shield defeated The Usos and Kofi Kingston. August 24, 2013 – Live Event: The Wyatt Family (Bray Wyatt, Luke Harper and Erick Rowan) defeated Justin Gabriel & The Uso’s (Jimmy Uso and Jey Uso). August 29. 2013 – Superstars: The Usos and Justin Gabriel defeated 3MB. August 30, 2013 – Smackdown: The Usos defeated Drew McIntyre and Jinder Mahal in a dark match. August 31, 2013 – Live Event: The Wyatt Family defeated The Usos and R-Truth. September 1, 2013 – Live Event: The Wyatt Family defeated Justin Gabriel, Jimmy and Jey Uso. September 6, 2013 – Live Event: World tag team champions Seth Rollins and Roman Reigns defeated The Usos to retain the titles. September 6, 2013 – SmackDown: Antonio Cesaro and Jack Swagger (now known as the “Real Americans”) defeated the Uso Brothers. September 7, 2013 – Live Event: World tag team champions Seth Rollins and Roman Reigns defeated The Usos to retain the titles. September 8, 2013 – Live Event: World tag team champions Seth Rollins and Roman Reigns defeated The Usos to retain the titles. September 12, 2013 – Superstars: The Usos defeated Heath Slater and Jinder Mahal. September 14, 2013 – Live Event: The Wyatt Family defeated Kofi Kingston and The Uso’s. September 22, 2013 – Live Event: The Wyatt Family defeated Kofi Kingston and The Uso’s. September 25, 2013 – Main Event: The Usos defeated Fandango and Big E. Langston. September 26, 2013 – Live Event: Jack Swagger and Antonio Cesaro defeated The Usos. September 28, 2013 – Live Event: The Wyatt Family defeated R-Truth and The Usos. October 25, 2013 – SmackDown: The Usos defeated The Wyatt Family (Luke Harper and Erick Rowan). November 4, 2013 – RAW: The Usos defeated Drew McIntyre and Heath Slater. November 6, 2013 – Main Event: The Usos defeated Hunico and Camacho (Return). November 6, 2013 – Live Event The Usos defeated Drew McIntyre and Heath Slater. November 8, 2013 – Live Event The Usos defeated Drew McIntyre and Heath Slater. November 8, 2013 – SmackDown: The Usos and R-Truth defeated 3MB in a 6-man tag team match. November 22, 2013 – SmackDown: The Usos and Rey Mysterio, Jr. defeated the Shield. December 4, 2013 – Main Event: The Usos defeated Jinder Mahal and Drew McIntyre. December 5, 2013 – Superstars: The Usos defeated Jinder Mahal and Drew McIntyre. December 23, 2013 – RAW: The Usos defeated the Prime Time Players. December 26, 2013 – Superstars: The Usos defeated Ryback and Curtis Axel dark match. December 28, 2013 – Live Event: Daniel Bryan and The Usos defeated The Wyatt Family in a steel cage match. January 2, 2014 – Superstars: The Usos defeated The Prime Time Players. January 20, 2014 – RAW: The Usos defeated Erick Rowan and Luke Harper. January 26, 2014 – Royal Rumble: The Usos participated in the 30-man Royal Rumble match which was eventually won by Batista. January 27, 2014 – RAW: The Usos defeated Ryback and Curtis Axel. January 29, 2014 – Main Event: The Usos and WWE intercontinental champion Big E Langston defeated 3MB. February 6, 2014 – Superstars: Los Matadores and The Usos defeated Curt Hawkins and 3MB. February 10, 2014 – RAW: The Usos defeated Ryback and Curtis Axel. February 15-16, 2014 – Live Event: WWE tag team champions The New Age Outlaws defeated The Usos and The Real Americans in a 3-way tag team match to retain the titles. February 21, 2014 – SmackDown: Jimmy Uso defeated “Road Dogg” Jesse James. March 7, 2014 – SmackDown: WWE tag team champions the Usos defeated Ryback and Curtis Axel in a non-title match. March 10, 2014 – RAW: WWE tag team champions the Usos defeated Ryback and Curtis Axel in a non-title match. April 3, 2014 – Main Event: WWE tag team champions The Usos defeated Los Matadores to retain the titles. April 7, 2014 – RAW: WWE tag team champions the Usos fought Batista and Randy Orton to a double count-out. The Usos retain the titles. April 11, 2014 – SmackDown: Daniel Bryan and the WWE tag team champions the Usos fought Batista, Randy Orton, and Kane to a ‘no contest’ in a 6-man tag team match. April 21, 2014 – RAW: WWE tag team champions the Usos defeated Cody Rhodes and Goldust in a non-title match. April 24, 2014 – NXT: WWE tag team champions The Usos and Sami Zayn defeated Corey Graves and NXT tag team champions The Ascension. April 28, 2014 – RAW: WWE tag team champions the Usos defeated Ryback and Curtis Axel to retain the titles. 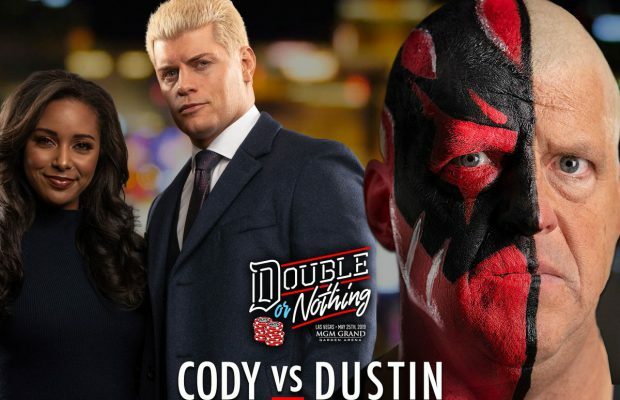 May 2-3, 2014 – Live Event: WWE tag team champions The Usos defeated Ryback and Curtis Axel & Cody Rhodes and Goldust in a 3-way tag team match to retain the titles. May 8, 2014 – Superstars: WWE tag team champions The Usos defeated Jinder Mahal and Drew McIntyre in a non-title match. May 16, 2014 – SmackDown: WWE tag team champions the Usos defeated Cody Rhodes and Goldust in a non-title match. May 27, 2014 – Main Event: Erick Rowan and Luke Harper defeated The Usos in a non-title match. June 6, 2014 – SmackDown: WWE tag team champions the Usos defeated Ryback and Curtis Axel in a non-title match. June 9, 2014 – RAW: WWE tag team champions the Usos defeated Fandango and Damien Sandow in a non-title match. June 17, 2014 – Main Event: The Wyatt Family defeated Sheamus and The Usos. June 29, 2014 – Money in the Bank: WWE tag team champions the Usos defeated Erick Rowen and Roman Harper to retain the titles. July 11, 2014 – SmackDown: WWE tag team champions the Usos defeated Heath Slater and Titus O’Neil in a non-title match. July 25, 2014 – SmackDown: WWE tag team champions the Usos defeated Ryback and Curtis Axel in a non-title match. July 28, 2014 – RAW: WWE tag team champions the Usos and Dolph Ziggler defeated WWE Intercontinental champion the Miz, Ryback, and Curtis Axel. July 29, 2014 – Main Event: WWE tag team champions The Usos defeated Curtis Axel and Ryback in a non-title match. August 12, 2014 – Main Event: WWE tag team champions The Usos defeated Rob Van Dam and Sheamus & Ryback and Curtis Axel in a 3-way tag team match to retain the titles. August 18, 2014 – RAW: Goldust and Stardust defeated WWE tag team champions the Usos in a non-title match. August 22-24, 2014 – Live Event: WWE tag team champions The Usos defeated Big E and Kofi Kingston & Erick Rowan and Luke Harper in a 3-way tag team match to retain. August 25, 2014 – RAW: Goldust and Stardust defeated WWE tag team champions the Usos by count-out. The Usos retain the titles. September 19, 2014 – SmackDown: Jimmy Uso defeated Stardust. September 21, 2014 – Night of Champions: Goldust and Stardust defeated WWE tag team champions the Usos to win the titles. September 26, 2014 – SmackDown: The Usos defeated WWE tag team champions Goldust and Stardust by disqualification. Goldust and Stardust retain the titles. October 3, 2014 – SmackDown: The Usos defeated Heath Slater and Titus O’Neil. October 13, 2014 – RAW: John Cena and Dean Ambrose defeated the Usos and the WWE tag team champions Goldust and Stardust in a triple threat non-title tag team match. October 17, 2014 – SmackDown: WWE United States champion Sheamus and the Usos defeated WWE tag team champions Goldust and Stardust and the Miz in a 6-man tag team match. October 20, 2014 – RAW: WWE tag team champions Goldust and Stardust and Damien Sandow (replacing the Miz) defeated WWE United States champion Sheamus and the Usos in a 6-man tag team match. October 24, 2014 – SmackDown: WWE tag team champions Goldust and Stardust and Bo Dallas defeated Mark Henry and the Usos in a 6-man tag team match. October 26, 2014 – Hell in a Cell: WWE tag team champions Goldust and Stardust defeated the Usos to retain the titles. October 27, 2014 – RAW: The Usos defeated Miz and Damien Sandow. October 28, 2014 – Main Event: The Usos defeated The Miz and Damien MizDow. November 3, 2014 – RAW: The Miz defeated Jimmy Uso. November 7, 2014 – SmackDown: WWE tag team champions Goldust and Stardust defeated the Usos in a steel cage match to retain the titles. November 18, 2014 – Main Event: The Usos defeated Goldust and Stardust. November 27, 2014 – Superstars: The Usos defeated Heath Slater and Titus O’Neil. December 5, 2014 – SmackDown: The Miz defeated Jey Uso. December 8, 2014 – RAW: The Usos and Ryback defeated Kane and WWE tag team champions the Miz and Damien Sandow in a 6-man tag team match. December 8, 2014 – RAW: The Usos wins “Tag Team of the Year” on the WWE’s Slammy Awards edition of RAW. December 14, 2014 – TLC…and Stairs: The Usos defeated WWE tag team champions the Miz and Damien Sandow by disqualification. Miz and Sandow retain the titles. December 15, 2014 – RAW: Jimmy Uso defeated the Miz. December 17, 2014 – Tribute to the Troops: The Usos defeated Goldust and Stardust. December 19, 2014 – SmackDown: The Usos and Erick Rowan defeated Luke Harper and the WWE tag team champions the Miz and Damien Sandow in a 6-man tag team match. December 22, 2014 – RAW: The Miz defeated Jey Uso. December 26, 2014 – SmackDown: Jimmy Uso defeated the Miz. December 28, 2014 – Live Event: Erick Rowan and The Usos defeated The Big Show, Damien Mizdow and The Miz. December 29, 2014 – RAW: The Usos defeated WWE tag team champions the Miz and Damien Sandow to win the titles. December 30, 2014 – Main Event: WWE tag team champions The Usos defeated Goldust and Stardust in a non-title match. January 2, 2015 – SmackDown: WWE tag team champions the Usos and R-Truth defeated Goldust, Stardust, and Adam Rose in a 6-man tag team match. January 9, 2015 – SmackDown: WWE tag team champions the Usos defeated the Miz & Damien Sandow and Goldust & Stardust in a triple threat match to retain the title. January 10-11, 2015 – Live Event: WWE tag team champions the Usos defeated Miz and Damien Sandow to retain the titles. January 12, 2015 – RAW: The Miz defeated Jey Uso. January 19, 2015 – RAW: Jey Uso defeated the Miz. January 25, 2015 – Royal Rumble: WWE tag team champions the Usos defeated the Miz and Damien Sandow to retain the titles. January 29, 2015 – SmackDown: Tyson Kidd defeated Jey Uso. February 6-7, 2015 – Live Event: WWE tag team champions the Usos defeated Miz and Damien Sandow to retain the titles. February 9, 2015 – RAW: Cesaro and Tyson Kidd defeated WWE tag team champions the Usos in a non-title match. February 14-15, 2015 – Live Event: WWE tag team champions the Usos defeated Miz and Damien Sandow to retain the titles. February 19, 2015 – SmackDown: Tyson Kidd fought Jimmy Uso to a no contest. March 3, 2015 – Main Event: The Usos defeated The Ascension. March 7-8, 2015 – Live Event: The Usos defeated Damien MizDow and The Miz. At WrestleMania, Jey suffered an anterior shoulder dislocation on the left arm and would be out for about six months. April 9-12, 2015 – Live Event: Jimmy Uso defeated Fandango. April 14, 2015 – Main Event: Jimmy Uso defeated Xavier Woods. April 15-17, 2015 – Live Event: Jimmy Uso defeated Bad News Barrett. May 1-3, 2015 – Live Event: Jimmy Uso and The Prime Time Players defeated Heath Slater and The Ascension. May 9-10, 2015 – Live Event: Jimmy Uso and The Lucha Dragons defeated Los Matadores and Tyler Breeze. May 15, 2015 – Main Event: Luke Harper and Erick Rowan defeated Jimmy Uso and Zack Ryder. May 23-24, 2015 – Live Event: Jimmy Uso defeated Brad Maddox. May 30, 2015 – Live Event: Jimmy Uso defeated Stardust. June 5-7, 2015 – Live Event: Jimmy Uso defeated Bo Dallas. June 12-13, 2015 – Live Event: Jimmy Uso defeated Bo Dallas. June 20, 2015 – Live Event: Jimmy Uso defeated Adam Rose. June 21, 2015 – Live Event: Jimmy Uso defeated Luke Harper. June 28, 2015 – Live Event: Jimmy Uso defeated Tyler Breeze. November 5-8, 11-14, 2015 – Live Event: The Wyatt Family (Braun Strowman, Erick Rowan & Luke Harper) defeated Ryback & The Usos (Jey Uso & Jimmy Uso). November 5, 2015 – SmackDown: The Usos defeated the Ascension. November 21, 2015 – Main Event: The Usos defeated Brad Maddox and Adam Rose. December 24, 2015 – SmackDown: WWE United States champion Alberto Del Rio and Rusev defeated the Usos. December 26-27, 2015 – Live Event: WWE tag team champions Kofi Kingston and Big E defeated The Usos and The Lucha Dragons in a triple threat match to retain the titles. December 28, 2015 – RAW: Wade Barrett, Rusev, and Sheamus defeated WWE Intercontinental champion Dean Ambrose and the Usos in a 6-man tag team match. January 4, 2016 – RAW: Rusev and WWE United States champion Alberto Del Rio defeated the Usos. January 9, 2016 – Main Event: The Usos defeated Bo Dallas and Curtis Axel. January 30-31, 2016 – Live Event: The Usos and Ryback defeated The New Day. February 1, 2016 – RAW: The Usos defeated Adam Rose and Curtis Axel. February 5, 2016 – Main Event: The Prime Time Players and The Usos defeated The Ascension, Stardust and Tyler Breeze. February 6-7, 2016 – Live Event: The Usos and Ryback defeated The New Day. February 22, 2016 – RAW: The Usos defeated the Ascension. February 25, 2016 – SmackDown: D-Von Dudley defeated Jimmy Uso. February 26, 2016 – Live Event: The Wyatt Family defeated Ryback and The Usos. February 29, 2016 – RAW: Bubba Ray defeated Jey Uso. March 3, 2016 – SmackDown: Rusev and Sheamus defeated the Usos. March 11, 2016 – Superstars: The Usos defeated The Ascension. March 12-13, 2016 – Live Event: The Usos and Dolph Ziggler defeated The Dudley Boyz and The Miz. March 14, 2016 – RAW: The Usos defeated Bo Dallas and Heath Slater. March 18, 2016 – Live Event: Kane and the Usos defeated Bray Wyatt, Erick Rowan and Braun Strowman. March 19-20, 2016 – Live Event: WWE tag team champions Kofi Kingston and Xavier Woods defeated The Usos and The Dudley Boyz in a 3-way tag match to retain. March 24, 2016 – SmackDown: The Usos defeated the Ascension. April 3, 2016 – WrestleMania 32: The Usos defeated the Dudley Boyz. April 4, 2016 – RAW: The Usos are defeated by the Dudley Boyz in a tables match. April 11, 2016 – RAW: The Usos defeated Heath Slater and Curtis Axel in a #1 contenders tag team tournament match. April 13-16, 2016 – Live Event: The Usos defeated The Dudley Boyz. April 17, 2016 – Live Event: The Usos defeated Braun Strowman and Erick Rowan. April 20-23, 2016 – Live Event: WWE tag team champions Big E and Xavier Woods defeated The Usos and The Dudley Boyz in a 3-way tag match to retain. May 16, 2016 – RAW: The Usos (Jey Uso and Jimmy Uso) defeated The Club (Karl Anderson and Luke Gallows). July 8, 2016 – Superstars: The Usos (Jey Uso and Jimmy Uso) defeated The Ascension (Konnor and Viktor). July 11, 2016 – RAW: Both Uso brothers were in the #1 contenders battle royal for the Intercontinental title won by Darren Young. July 19, 2016 – WWE Draft Live Special: The Usos were drafted to Smackdown Live as a tag team. July 22, 2016 – Superstars: The Usos (Jey Uso and Jimmy Uso) defeated The Dudley Boyz (Bubba Ray Dudley and D-Von Dudley). August 23, 2016 – Smackdown Live: The Usos (Jey Uso and Jimmy Uso) defeated The Ascension (Konnor and Viktor) in the 1st round. August 29, 2016 – Live Event: The Usos (Jey Uso & Jimmy Uso) defeated The Vaudevillains (Aiden English and Simon Gotch). September 6, 2016 – Smackdown Live: American Alpha (Chad Gable and Jason Jordan) defeated The Uso’s in the semi-finals of the tag team titles tournament. September 10, 2016 – Live Event: The Usos (Jey Uso and Jimmy Uso) defeated Breezango (Fandango and Tyler Breeze). September 11, 2016 – Backlash: The Usos (Jey Uso and Jimmy Uso) defeated The Hype Bros (Mojo Rawley and Zack Ryder) in the semi-finals. Heath Slater and Rhyno defeated The Usos (Jey Uso and Jimmy Uso) to win the tournament and 1st ever SmackDown Live tag team titles. September 13, 2016 – SmackDown Live: The Usos (Jey Uso and Jimmy Uso) defeated The Hype Bros (Mojo Rawley and Zack Ryder). September 20, 2016 – SmackDown Live: The Usos defeated Chad Gable and Jason Jordan. October 8, 10, 2016 – Live Event: Heath Slater and Rhyno defeated Jimmy and Jey Uso to retain the tag team titles. October 9, 2016 – No Mercy: Heath Slater and Rhyno defeated Jimmy and Jey Uso to retain the tag team titles. October 22-24, 2016 – Live Event: Heath Slater and Rhyno defeated The Usos (Jey Uso and Jimmy Uso) to retain the tag titles. October 30-31, 2016 – Live Event: Heath Slater and Rhyno defeated The Usos (Jey Uso and Jimmy Uso) & American Alpha (Chad Gable and Jason Jordan) in a 3-way tag team match to retain the tag titles. November 1, 2016 – SmackDown Live: The Usos (Jey Uso and Jimmy Uso) defeated The Head Bangers (Mosh and Thrasher) to qualify for the Survivor Series tag team team elimination match. November 4, 2016 – Live Event: Heath Slater and Rhyno defeated The Ascension (Konnor and Viktor) & The Usos (Jey Uso and Jimmy Uso) in a 3-way tag team match to retain the tag titles. November 5-7, 9-10, 2016 – Live Event: Heath Slater and Rhyno defeated Breezango (Fandango and Tyler Breeze) & The Usos (Jey Uso and Jimmy Uso) in a 3-way tag team match to retain the tag titles. November 11, 2016 – Main Event: The Usos (Jey Uso and Jimmy Uso) defeated The Hype Bros (Mojo Rawley and Zack Ryder). December 27, 2016 – SmackDown Live: American Alpha (Chad Gable and Jason Jordan) defeated Heath Slater and Rhyno, The Usos (Jey Uso and Jimmy Uso) & The Wyatt Family (Luke Harper and Randy Orton) in a 4-way tag team elimination match to win the tag team titles. April 2, 2017 – WrestleMania 33: Mojo Rawley defeats Aiden English and Apollo Crews and Bo Dallas and Braun Strowman and Chad Gable and Curt Hawkins and Curtis Axel and Dolph Ziggler and Epico and Fandango and Goldust and Heath Slater and Jey Uso and Jimmy Uso and Jinder Mahal and Kalisto and Killian Dain and Luke Harper and Mark Henry and Primo and R-Truth and Rhyno and Sami Zayn and Simon Gotch and Sin Cara and The Big Show and Tian Bing and Titus O’Neil and Tyler Breeze in the Andre The Giant Memorial Battle Royal. May 4-8, 10-14, 2017 – Live Event: The Usos (Jey Uso and Jimmy Uso) defeated American Alpha (Chad Gable and Jason Jordan) & The Colons (Primo and Epico) in a 3-way tag team match to retain the SmackDown Live tag titles. May 21, 2017 – Backlash: The Usos (Jey Uso and Jimmy Uso) defeated Breezango (Fandango and Tyler Breeze) to retain the tag titles. May 23, 2017 – SmackDown Live: Fandango w Tyler Breeze defeated Jimmy Uso. Tyler Breeze w Fandango defeated Jey Uso w Jimmy Uso. The Usos (Jey Uso and Jimmy Uso) defeated Breezango (Fandango and Tyler Breeze) to retain the tag titles. June 8-9, 2017 – Live Event: The Usos (Jey Uso and Jimmy Uso) defeated American Alpha (Chad Gable and Jason Jordan), Breezango (Fandango and Tyler Breeze) & The Colons (Epico Colon and Primo Colon) in a fatal 4-way tag team match to retain the tag titles. June 18, 2017 – Money In The Bank: The New Day (Big E and Kofi Kingston) defeated The Usos (Jey Uso and Jimmy Uso) by count-out. The Usos retains the tag titles. June 20, 2017 – SmackDown Live: Big E w The New Day defeated Jimmy Uso w Jey Uso. June 27, 2017 – SmackDown Live: WWE SmackDown Live tag team champions The Usos (Jey Uso and Jimmy Uso) defeated The Hype Bros (Mojo Rawley and Zack Ryder) in a non-title match. July 23, 2017 – Battleground: The New Day (Kofi Kingston and Xavier Woods) w Big E defeated The Usos (Jey Uso and Jimmy Uso) to win the SmackDown Live tag team titles. July 26, 2017 – SmackDown Live: The Usos attacked The New Day before they made it to the ring. August 15, 2017 – SmackDown Live: The Usos (Jey Uso and Jimmy Uso) defeated SmackDown Live tag team champions The New Day (Kofi Kingston and Xavier Woods) in a non-title match. August 20, 2017 – SummerSlam Kickoff: The Usos (Jey Uso and Jimmy Uso) defeated The New Day (Big E and Xavier Woods) to win the SmackDown Live tag team titles. August 22, 2017 – SmackDown Live: WWE SmackDown Live tag team champions The Usos (Jey Uso and Jimmy Uso) defeated The Hype Bros (Mojo Rawley and Zack Ryder) in a non-title match. August 29, 2017 – SmackDown Live: WWE SmackDown Live tag team champions The New Day (Big E and Kofi Kingston) defeated in a non-title match. September 12, 2017 – SmackDown Live: The New Day (Big E and Kofi Kingston) defeated The Usos (Jey Uso and Jimmy Uso) in a street fight to win the tag team titles. September 26, 2017 – SmackDown Live: The Usos (Jey Uso and Jimmy Uso) defeated The Hype Bros (Mojo Rawley and Zack Ryder). October 8, 2017 – Hell In A Cell: The Usos (Jey Uso and Jimmy Uso) defeated The New Day (Big E and Xavier Woods) w Kofi Kingston in a Hell In A Cell match to win the tag team titles. October 20-21, 2017 – Live Event: AJ Styles & The New Day (Big E and Kofi Kingston) defeated Rusev & The Usos (Jey Uso and Jimmy Uso). October 22, 2017 – Live Event: Randy Orton & The New Day (Big E and Kofi Kingston) defeated Sami Zayn & The Usos (Jey Uso and Jimmy Uso). November 7, 2017 – SmackDown Live: Chad Gable and Shelton Benjamin defeated The Usos (Jey Uso and Jimmy Uso) by count-out. The Usos retains the tag titles. November 14, 2017 – SmackDown Live: Jimmy Uso w Jey defeated Chad Gable w Shelton Benjamin. November 21, 2017 – SmackDown Live: Shelton Benjamin w Chad Gable defeated Jey Uso w Jimmy Uso. December 14, 2017 – Tribute To The Troops (Taped): The New Day (Big E & Kofi Kingston) & The Usos (Jey Uso and Jimmy Uso) defeated Aiden English, Chad Gable, Rusev and Shelton Benjamin. December 16, 2017 – Live Event: The Usos (Jey Uso and Jimmy Uso) defeated Aiden English and Rusev, Chad Gable and Shelton Benjamin & The New Day (Big E and Kofi Kingston) in a 4-way tag team match to retain the tag titles. December 17, 2017 – Clash Of The Champions: The Usos (Jey Uso and Jimmy Uso) defeated Aiden English and Rusev, Chad Gable and Shelton Benjamin & The New Day (Big E and Kofi Kingston) in a 4-way tag team match to retain the tag titles. December 19, 2017 – SmackDown Live: Chad Gable and Shelton Benjamin defeated SmackDown Live tag team champions The Usos (Jey Uso and Jimmy Uso) in a non-title match. January 2, 2018 – SmackDown Live: The Usos (Jey Uso and Jimmy Uso) defeated Chad Gable and Shelton Benjamin to retain the tag titles. January 6-7, 2018 – Live Event: The Usos (Jey Uso and Jimmy Uso) defeated Aiden English and Rusev, Chad Gable and Shelton Benjamin & The New Day (Big E & Kofi Kingston) in a 4-way tag team match to retain the tag titles. January 20-21, 2018 – Live Event: The Usos (Jey Uso and Jimmy Uso) defeated Chad Gable and Shelton Benjamin to retain the tag titles. January 23, 2018 – SmackDown Live: Chad Gable w Shelton Benjamin defeated Jey Uso w Jimmy Uso. January 28, 2018 – Royal Rumble: The Usos (Jey Uso and Jimmy Uso) defeated Chad Gable and Shelton Benjamin in a best 2 out of 3 falls match to retain the tag titles. January 30, 2018 – SmackDown Live: The Usos cut a promo on how they beat each team in the WWE. February 6, 2018 – SmackDown Live: The Usos lay down the Street Code. February 17-18, 2018 – Live Event: The Usos (Jey Uso and Jimmy Uso) defeat Chad Gable and Shelton Benjamin, The Bludgeon Brothers (Harper and Rowan) & The New Day (Big E and Kofi Kingston) in a 4-way tag team match to retain the tag titles. February 20, 2018 – SmackDown Live: The Usos (Jey Uso and Jimmy Uso) defeated Aiden English and Rusev in a dark match. February 24, 2018 – Live Event: The Usos (Jey Uso and Jimmy Uso) defeated Aiden English and Rusev, Chad Gable and Shelton Benjamin & The New Day (Big E and Kofi Kingston) in a 4-way tag team match to retain the tag titles. February 26, 2018 – Live Event: The Usos (Jey Uso and Jimmy Uso) defeated Chad Gable and Shelton Benjamin & The New Day (Big E and Kofi Kingston) in a 3-way tag team match to retain the tag titles. March 11, 2018 – Fastlane: The Usos (Jey Uso and Jimmy Uso) vs. The New Day (Kofi Kingston and Xavier Woods) ended in a no contest, The Usos retains the tag titles. Harper & Rowan destroyed both teams. March 20, 2018 – SmackDown Live: Harper w Rowan defeated Jimmy Uso w Jey Uso. March 31, 2018 – Live Event: The Usos (Jey Uso and Jimmy Uso) defeated Chad Gable and Shelton Benjamin to retain the tag titles. April 2, 2018 – Live Event: The Usos (Jey Uso and Jimmy Uso) defeated Chad Gable and Shelton Benjamin to retain the tag titles. April 8, 2018 – SmackDown Live: The Bludgeon Brothers (Harper and Rowan) defeated The New Day (Big E and Kofi Kingston) & The Usos (Jey Uso and Jimmy Uso) in a 3-way tag team match to win the tag titles. April 10, 2018 – SmackDown Live: The Usos (Jey Uso and Jimmy Uso) defeated The New Day (Big E and Xavier Woods) w Kofi Kingston to become #1 contenders for the tag titles. April 17, 2018 – SmackDown Live: Harper w Rowan defeated Jey Uso w Jimmy Uso. April 24, 2018 – SmackDown Live: Jimmy Uso w Jey Uso defeated Rowan w Harper. April 27, 2018 – Greatest Royal Rumble: The Bludgeon Brothers (Harper and Rowan) defeated The Usos (Jey Uso and Jimmy Uso) to retain the tag titles. May 10-14, 2018 – Live Event: The Bludgeon Brothers (Harper and Rowan) defeated The New Day (Big E and Kofi Kingston) & The Usos (Jey Uso and Jimmy Uso) in a 3-way tag team match to retain the tag titles. June 2-3, 9-10, 2018 – Live Event: The Bludgeon Brothers (Harper and Rowan) defeated The New Day (Big E and Kofi Kingston) & The Usos (Jey Uso and Jimmy Uso) in a 3-way tag team match to retain the tag titles. June 19, 2018 – SmackDown Live: The Usos were attacked by the debut of SAnitY (Alexander Wolfe, Eric Young & Killian Dain). June 26, 2018 – SmackDown Live: Jeff Hardy & The Usos (Jey Uso and Jimmy Uso) defeated SAnitY (Alexander Wolfe, Eric Young and Killian Dain). July 3, 2018 – SmackDown Live: Team Hell No (Daniel Bryan and Kane) defeated The Usos (Jey Uso and Jimmy Uso). July 21-23, 2018 – Live Event: The Bludgeon Brothers (Harper and Rowan) defeated The Club (Karl Anderson and Luke Gallows) & The Usos (Jey Uso and Jimmy Uso) in a 3-way tag team match to retain the tag titles. July 28-30, 2018 – Live Event: The Bludgeon Brothers (Harper and Rowan) defeated The Club (Karl Anderson and Luke Gallows) & The Usos (Jey Uso and Jimmy Uso) in a 3-way tag team match to retain the tag titles. September 1, 2018 – Live Event: The Usos (Jey Uso and Jimmy Uso) defeated SAnitY (Alexander Wolfe and Eric Young). September 2-3, 2018 – Live Event: The Usos (Jey Uso and Jimmy Uso) defeated SAnitY (Alexander Wolfe and Killian Dain). September 4, 2018 – SmackDown Live: Rusev Day (Aiden English and Rusev) defeated SAnitY (Eric Young and Killian Dain) & The Usos (Jey Uso and Jimmy Uso) in a 3-way tag team, 1st round match. October 16, 2018 – SmackDown Live 1000th Episode: The Usos (Jey Uso and Jimmy Uso) defeated AJ Styles and Daniel Bryan. December 4, 2018 – SmackDown Live: Jey Uso w Jimmy Uso defeated Cesaro w Sheamus and Xavier Woods w The New Day in a 3-way match. December 11, 2018 – SmackDown Live: The Usos & The Bar competed in a Rap Battle. December 17, 2018 – Live Event: The Bar (Cesaro and Sheamus) defeated The New Day (Kofi Kingston and Big E) & The Usos (Jey Uso and Jimmy Uso) in a 3-way tag team match to retain the tag team titles. December 18, 2018 – SmackDown Live: Karl Anderson and Luke Gallows vs. The Usos (Jey Uso and Jimmy Uso) ended in a no contest. Karl Anderson, Luke Gallows & The Usos (Jey Uso and Jimmy Uso) defeated SAnitY (Alexander Wolfe & Killian Dain) & The Bar (Cesaro and Sheamus). December 25, 2018 – SmackDown Live: Mandy Rose tried to get Jimmy Uso underneath the misletoe. December 26, 28, 2018 – Live Event: The Bar (Cesaro and Sheamus) defeated The New Day (Kofi Kingston and Xavier Woods) & The Usos (Jey Uso and Jimmy Uso) in a 3-way tag team match to retain the tag team titles. December 27, 2018 – Live Event: The Bar (Cesaro and Sheamus) defeated The New Day (Kofi Kingston and Big E) & The Usos (Jey Uso and Jimmy Uso) in a 3-way tag team match to retain the tag team titles. December 30, 2018 – Live Event: The Bar (Cesaro and Sheamus) defeated The New Day (Xavier Woods and Big E) & The Usos (Jey Uso and Jimmy Uso) in a 3-way tag team match to retain the tag team titles. January 13, 2019 – Live Event: The Bar (Cesaro and Sheamus) defeated The New Day (Kofi Kingston and Xavier Woods) & The Usos (Jey Uso and Jimmy Uso) in a 3-way tag team match to retain the tag team titles. January 15, 2019 – SmackDown Live: Jimmy Uso receives the key to the hotel room of Many Rose. January 19, 2019 – Live Event: Jey Uso defeated Aiden English. January 20, 2019 – Live Event: Jey Uso defeated Aiden English. The Bar (Cesaro and Sheamus) defeated The New Day (Xavier Woods and Big E) & The Usos (Jey Uso and Jimmy Uso) in a 3-way tag team match to retain the tag team titles. February 12, 2019 – SmackDown Live: The Miz & Shane McMahon hosted a MicMz TV segment with The Usos. February 17, 2019 – Elimination Chamber: The Usos (Jey Uso and Jimmy Uso) defeated Shane McMahon and The Miz to win the SmackDown Live tag team titles. February 18, 2019 – Live Event: The Usos (Jey Uso and Jimmy Uso) defeated The New Day (Big E and Xavier Woods) & Rusev and Shinsuke Nakamura in a 3-way tag team match to retain the tag team titles. February 25, 2019 – Live Event: The Usos (Jey Uso and Jimmy Uso) defeated The New Day (Kofi Kingston and Xavier Woods) & Rusev and Shinsuke Nakamura in a 3-way tag team match to retain the tag team titles. March 5, 2019 – SmackDown Live: The Miz w Shane McMahon defeated Jey Uso w Jimmy Uso. 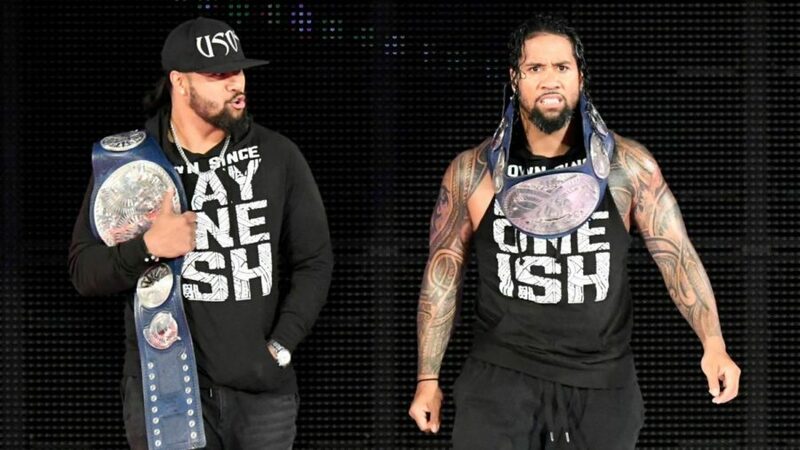 March 10, 2019 – Fastlane: The Usos (Jey Uso and Jimmy Uso) defeated The Miz and Shane McMahon to retain the SmackDown Live tag team titles.